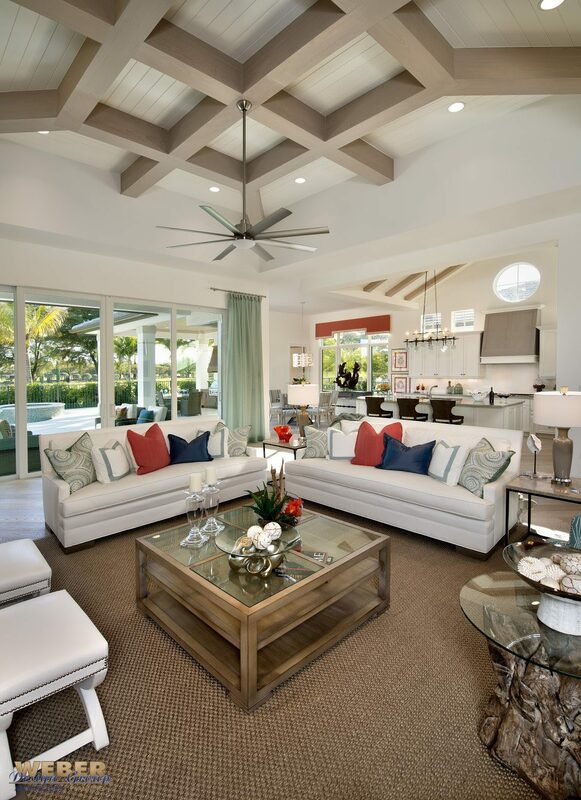 Caribbean influence is obvious in this coastal contemporary single-story home. 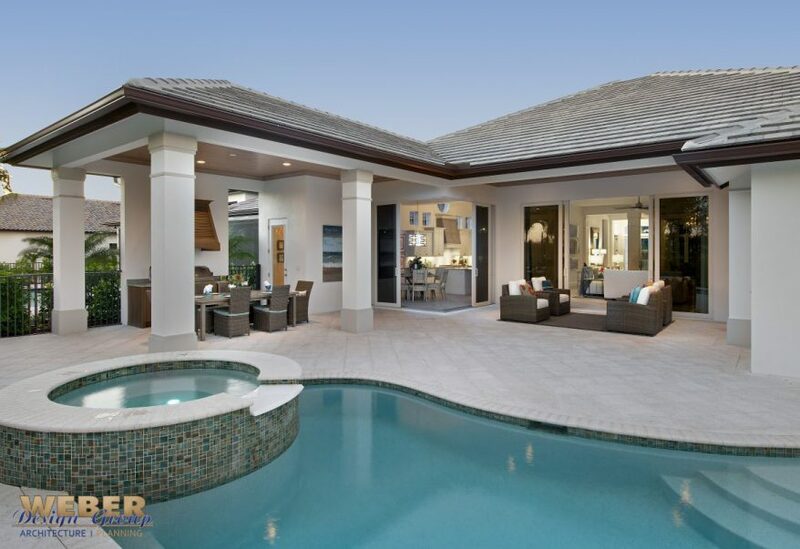 The cement flat tile roof and clean lines of the exterior are blended with Caribbean features such as shutters, natural wood trim and decorative roof brackets. 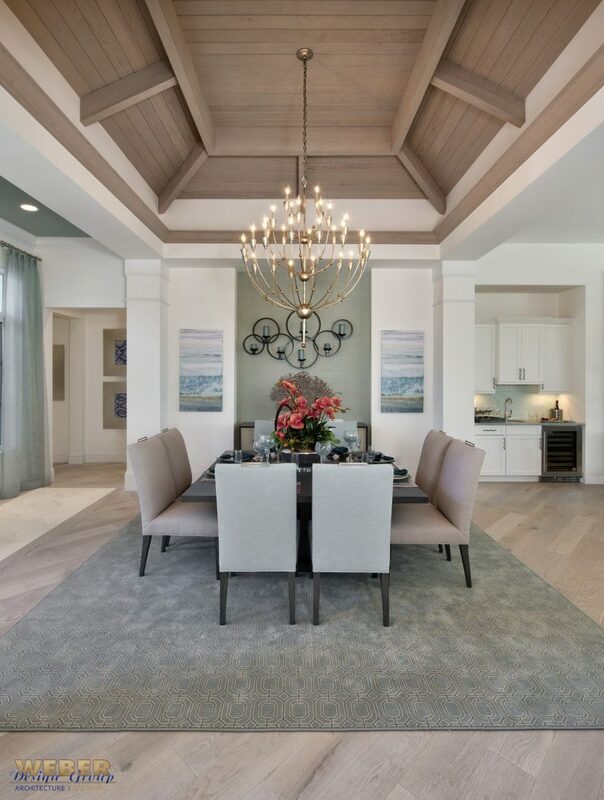 The 3,527 square foot residence includes three bedrooms, three and one-half baths, a formal study and a three-car garage. 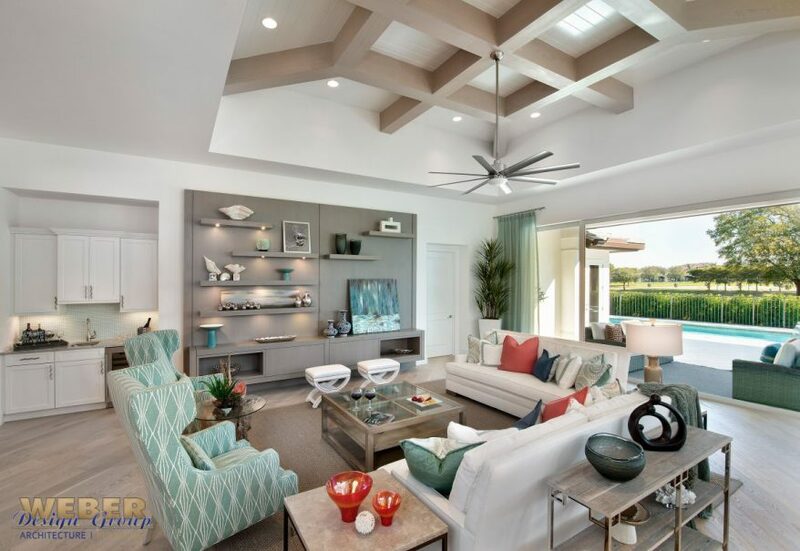 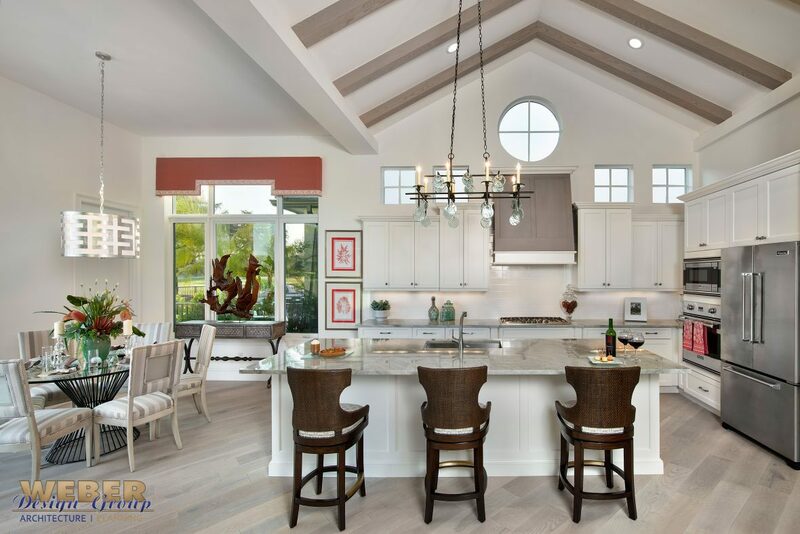 Intricate ceiling designs and an open floor plan that transitions seamlessly to the outdoor areas create a casual coastal vibe. 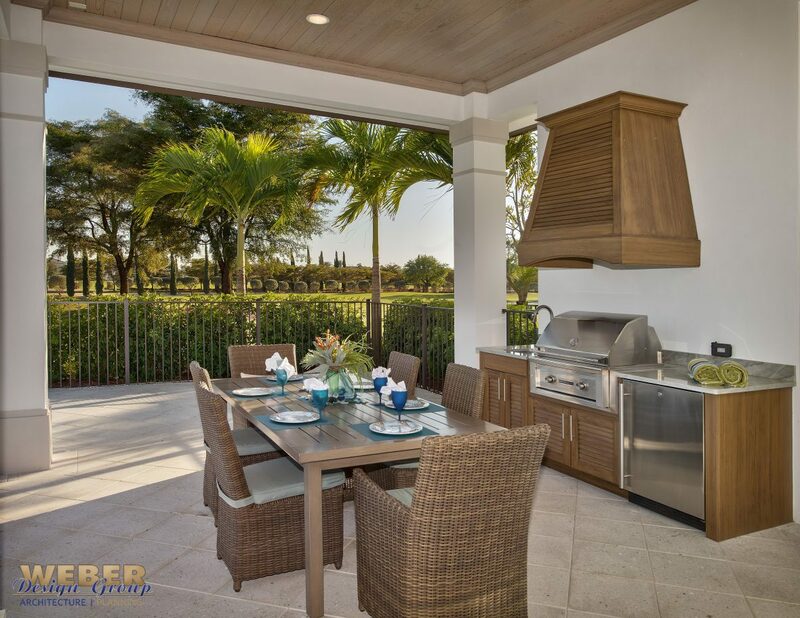 Each of the main living areas fully open up to the outdoors through pocketing glass doors and are suited for year-round entertaining and al fresco dining.